Updated with a response from the team. The St. Louis Cardinals' social media team is having some issues this week. First, the team's Instagram account posted a picture encouraging fans to use a hashtag on their photos to enter a drawing for free tickets. The photo was of fans in the Great American Ballpark. In Cincinnati. The home of the Cincinnati Reds. Oops. The picture was deleted and replaced with one of Cards fans asking for autographs. That was earlier this week. 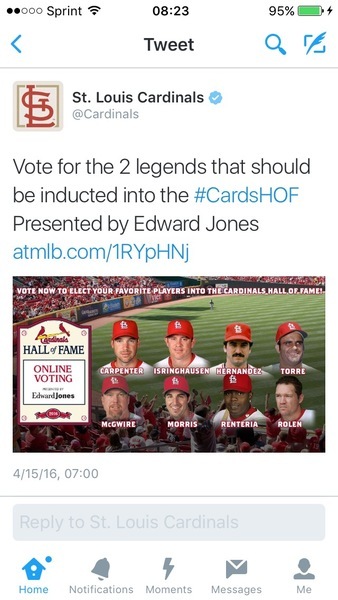 Then, on Friday, the Cardinals posted a photo asking fans to vote for players who should be inducted into the Cardinals Hall of Fame. The background was the same image of the Great American Ballpark that the team posted to Instagram earlier. The now-deleted tweet that used a photo of the Great American Ballpark in Cincinnati as the background. Ron Watermon, the vice president of communications for the Cardinals, said Major League Baseball produced and posted the erroneous Instagram and Twitter updates for the Cardinals. MLB owns the interactive rights for all the teams, and has co-posting authority. Watermon said he's not aware of MLB employees making similar errors in posts to other teams' accounts. That’s OK, graphic designer/social media account manager. No one noticed the slip-up. 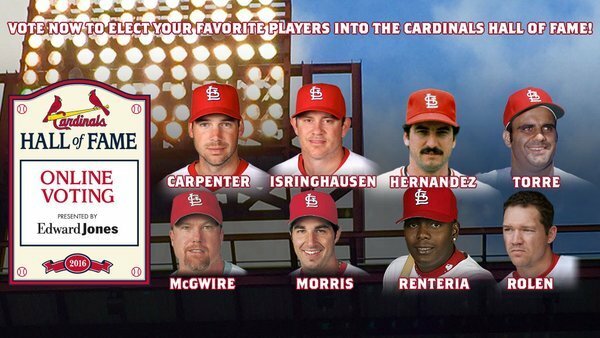 @btcoop71 @Cardinals They probably got that pic from a Reds computer they hacked.
.@Cardinals is the cardinals hall of fame located in Cincinnati? @MattSebek @Reds @Cardinals Perhaps cardinals win there so often, Google thought GABP was Busch stadium? @Cardinals Please hire me to be your editor.